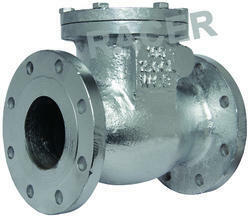 We are one of the leading organization engaged in providing excellent quality of Cast Steel Check Valve. Valve Size: 2" to 24"
Valve Size: 2" TO 36"
Gasket: SS 304 SPW + Grph. 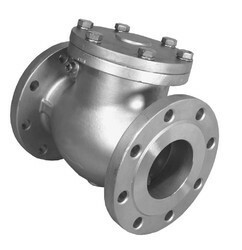 With rich industry experience & knowledge, we have been able to provide the best array of Swing Check Valve. We are successfully meeting the varied requirements of our clients by providing the best quality range of Swing Check Valves. Kirti Forged Brass Swing Check Valve, Size: 1/2"